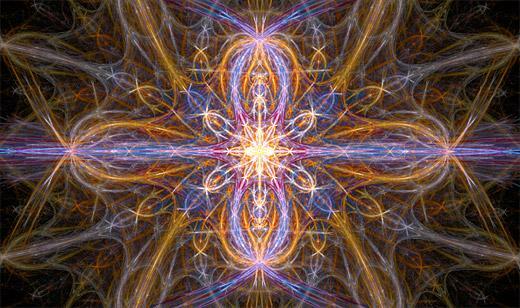 We The Pleiadians step forward right now because we are a closer vibrational frequency to humanity than others. We are in the 5th Dimension and as humanity and your Sacred planet Mother Earth is stepping into the 5th Dimension we are able and willing and wishing to assist those of humanity who are listening. We come to you at this time to ask you to remember your heart connection, to one another, to all life and as your antenna of spiritual galactic connection. It is a very blase statement, we know to many, that all of the answers lay within your heart connection but it is so. The energies that are coming foward in your world at this time are subtle, it is only by feeling this subtle connection within the heart and learning to know and trust this energy that you can discern truly from where this energy derives. Just because someone thinks they are channelling, this does not mean that it is necessarily coming from a higher loving energy force from higher dimensions. This is where practicing discernment comes into play…..by feeling the subtle loving energy within your heart and being, by not just accepting but by discerning from whence these energies come and building trust. This current time can be chaotic for many of you, the higher frequencies being directed to your planet as you prepare for the ascension of your Sacred Mother Earth and yourselves, can be confusing and chaotic to many. The old paradigms of thought, feeling, your way of connecting in meditation no longer seem to work. You witness all around you your systems of religion, politics, economics and environment breaking down around you. Many are feeling confused and frustrated by these changes. Many are of the opinion that this coming transition will automatically be one of peace, love and light. Sweet ones this is true – but you must do your groundwork, you must move out of your polarity as if one is polarised one can not take on new concepts, new energies, can not recognise the changes and are sometimes not prepared to accept that what they knew was simply a part of the story. Like the parables, as you gain new wisdom and energy you see a greater and deeper truth within the same stories. We would say to you that each day, each hour, each minute you are being presented with new opportunities to perceivie truths in a deeper and different way. These differences can not be filtered through the head, through the brain, they can only be filtered through the heart. Such a loving vibration is being flooded and infused into your third dimension as you prepare for the shift to the 5th dimension. Each day if you just open your heart a bit deeper, let go of judgments, fear, opinions of others, you will be filled with more light and love to share with yourself and others. It is time for those starseeds/lightworkers to step up and to step forward to become the wayshowers for those around you, for your family, friends and work colleagues. You do not have to ‘beat them over the head’ with your belief systems….just simply expand your own capacity for love and light and share this with all those around you. This entry was posted in Article, channelings, Links, reblog and tagged 2012, 3 June, Ashanay Mizrah, channeling, channelings, Conversations With The Pleiadians - High Energies - Remember Your Heart Connection, Disclosure, Earth, Pleiadian, spiritual, Spiritual evolution, World. Bookmark the permalink. Argh! I’m listening we’re sharing, caring, showing……our friends/family think we are nuts. Everybody wants validation, show them a space ship, let the ships sit in the sky for 1 hour so people will start talking, wondering. Nobody needs to be convinced it is their own decision to make Joanne. You can talk about your experience when people have a listening ear. Be just love and light, it will open up also people. But do not pressure nor convince nor try to pose the truth, that is always your truth, onto others. There are a lot of truths that lead in the end to the same endline. For me they, ET, are real and present. For others they are not real or still theory or people who need to wait till governments tell them they are real, it does not matter it is their choice. I do inform via my blog a lot of people they have to make up their own minds and discern in everything. But everybody can make a change by not looking outside themselves but inside-themselves. Work on their own ascension and opening and activating of the chakra’s. Also you can make a change direct in your own neighbourhoud and you should do what you can. Help others if asked in their search for information. Help where you can and make the change always in non-violence, civil disobedience, peaceful action and perseverence. Always work on connecting with your family, friends, neighbours and neighbourhood to seek help or act in (small) groups in your community.